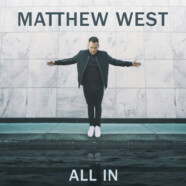 I’m so excited to announce that my new record All In is going to release this September! For the past few records, I’ve embarked on a unique journey of storytelling that really flipped my creative process upside down and led to some of the most memorable musical moments of my life. After collecting thousands of true stories from around the world, an incredible conversation has taken place between me and the people out there listening to my music. Their stories have served as the inspiration for many of the songs I’ve written. In Nashville, they say, “It all starts with a song.” And I like to add to that by saying: Every song starts with a story. I began 2017 by spending several weeks in a cabin that Alan Jackson built. It resides on some land owned by some friends of mine, and they were kind enough to let me camp out. I was a little worried though, because every morning when I walked through the door of the cabin, I had the melody of “way down yonder on the Chattahoochee” stuck in my head. Fortunately, I was able to find new melodies in the making of this record. No offense, Alan! I surprised myself in that cabin by how personal my lyrics were coming out. I scared myself a bit, too. I guess it was just time. Time to take some inventory of my own story; where I’ve been, where I am now, and where I’m going. With “All In,” I’m now trusting you with more of my story than I’ve ever shared before. “The Sound of a Life Changing,” took me back to Assembly Hall Arena in Champaign, Illinois, attending a Steven Curtis Chapman concert and knowing that night that someday I would be up there on stage. I called Steven to join me at the cabin to write the song with me. How’s that for a full circle moment? Some of the songs on this record reference very specific stories of people I’ve come in contact with over the past couple of years. Eleven-year-old Brooke’s battle with cancer inspired the song “Never Ever Give Up.” “Power Love Sound Mind” is inspired by Bryan, a soldier who wrote to me about his struggle with PTSD, and Raven, who’s struggling to figure out how to move on after her mom passed away. “Dream Again” is inspired by the men and women who are going through drug and alcohol recovery—who I invite to my concerts as my VIP’s. John 10:10 is an anchor verse for this record and for my life; Jesus tells us that he came to give us “life to the full.” I don’t know about you, but I want to taste and see what “life to the full” really is before it’s all said and done. I want to reach the end of the race with no regrets, no what-ifs. I want to stand before God, not as somebody who achieved perfection, but as someone who passionately pursued the God who passionately pursues me. I’m going All In.